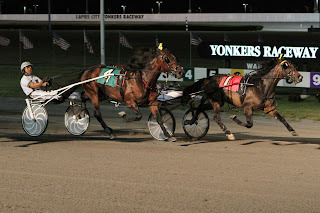 The green pacers and trotters have not been racing for long but the best of the frosh-colt pacers so far are about to strut their stuff in Metro Pace eliminations at Mohawk this Saturday, Aug. 24. The biggest feature for the future glamour boys is the highlight of their season and next week the final will showcase the top finishers in this week’s elims. 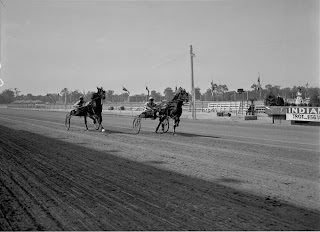 Our glamour-boy trotters are also back on Sunday, Aug. 25, fighting at Vernon in the “Zweigs” (colts and fillies a-trottin’) and since only eight dropping into the box for the Cane Pace for the colt pacers at Tioga, no elims will be necessary; next week presents the $360,212 final. Saturday, Aug. 24, Mohawk sets up the field for the top frosh-colt pacing stakes, The Metro with three elimination miles, each with a purse of $40,000. In set one we have Arthur Blue Chip, who we gave out last week as he won his Nassagaweya split against similar at 7-1. He may be bet more heavily here but still be worth it. More than an outside chance, however, goes to outside post 9 and Avalanche Hanover. He is another son of Somebeachsomewhere, this one trained by Linda Toscano, and he is bound to be in the mix for a shot at the big final. The next elim divison finds our other Nassagaweya winner, also paying 7-1, in a good spot to repeat. He is Somewhere In LA. Also raring for a good spot in the final and a possible upset here (odds are unpredictable) is Play It Again Sam. The third elim also leans towards the talents of another Somebeachsomewhere colt, Idealbeach Hanover. He was third to Somewhere In LA last week and may escape some bettors who like entries by more popular trainers. Carracci Hanover is also from the same sire and may be as good as the other frosh members of that family. The Metro sister event for the frosh-filly pacers is the She’s A Great Lady and there are two $35,000 elims in store for this group. These are two tough miles to handicap but in round one we are leaning toward Bahama Blue. She is the only filly here by Somebeachsomewhere and there is no denying that among these unpredictable youngsters, his influence is turning into money this season. That being said, there are three from the sire in the second elim but we like a gal from the sire Well Said. She is Take That Hanover, trained by local John Darling. 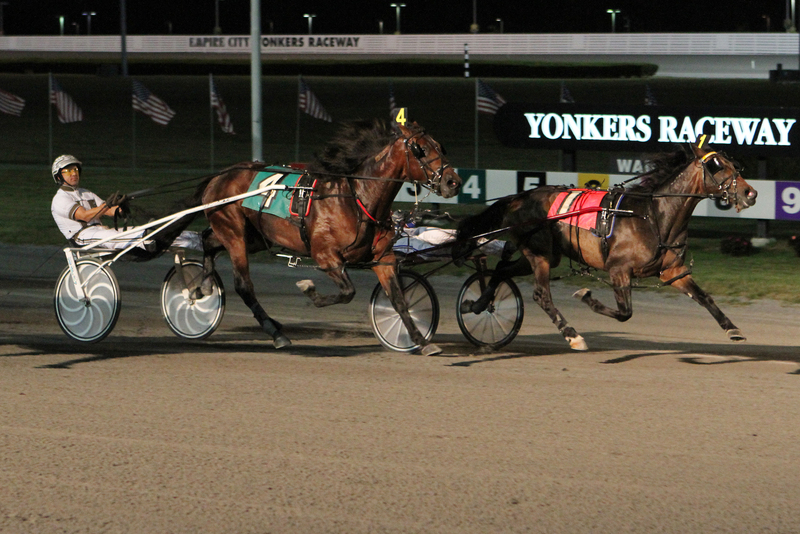 The soph-colt trotters battle again, this time at Vernon on Aug. 25 in the $360,000 Dr. Harry M. Zweig Memorial. The fillies have their own version and a consolation for each division makes for a quartet of good wagering action. Read our analysis through the spinoff blog dedicated to top horses headed for the Breeders Crown. Go to Breeders Crown Countdown. 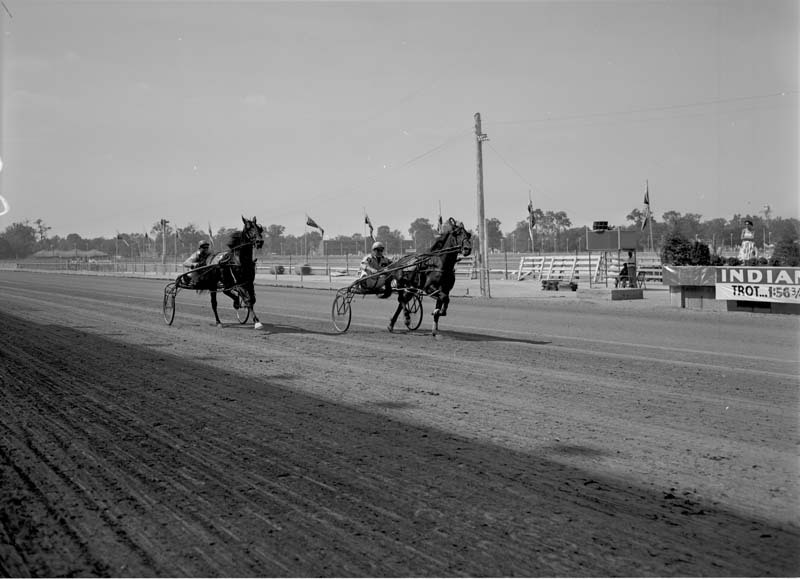 Two eliminations for the Canadian Pacing Derby attract 15-hopefuls as they prepare to dash this weekend for spots in the final field. Bolt The Duer seems to hold favoritism in division one, off of a world-record mile at Saratoga. 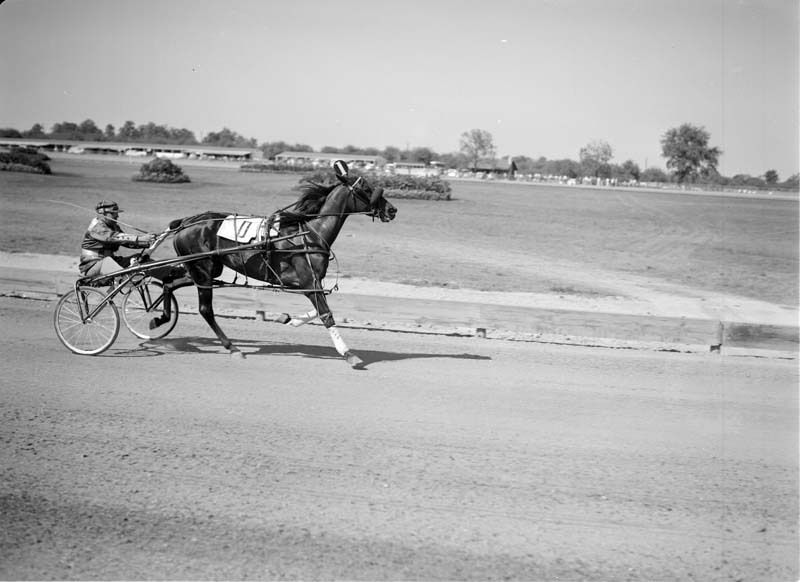 Also in that field is Sweet Lou, coming off a third to A Rocknroll Dance in a world-record mile at Pocono. Sweet Lou is the kind of horse that can win eliminations against this caliber and going against this field he may not be a tremendous price but offer enough value for us to feel confident supporting him. Warrawee Needy and A Rocknroll Dance highlight the second elimination. Although those two draw the best over the rest of the field, Pet Rock is not one to throw out. He always finds his way into the race, whether he uses an early brush to the lead or a sweep past everyone late. He’ll likely be forwardly placed and save something for the stretch.